At Burnaby Mountain Dental Centre we take great pride in providing each one of our patients with exceptional service and a beautiful smile. 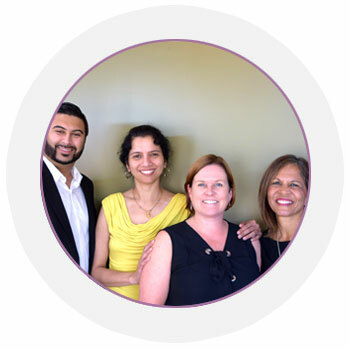 At Burnaby Mountain Dental we are committed to providing you with the most exceptional dental experience and service by our team of compassionate and highly skilled professionals. Giving you a better smile! We strive to create a welcoming and relaxing environment. We make seeing your dentist an enjoyable experience. See all of the services we offer to give you that beautifully natural smile. Our friendly staff are always eager to meet and take care of your every need. From booking appointments, to making you feel at home, our staff treats you like family. Looking to find out how a certain procedure is done? Watch one of our instructional videos to get all the facts, and learn about how we can create a naturally beautiful smile for you. Did you enjoy your time with us? If so, let your family and friends know! We would be honored to treat any patients who you would refer to us. Be sure to let us know who you referred so that we can give you an in office credit, or a gift card to a neighbouring business. Burnaby Mountain Dental Centre has moved to a brand new location to better serve all our patients.The great news is that we did not move far. Our new location at 555 Clarke road is just across the street from our previous location.Come on in for your appointment and check out our new office.